When a woman becomes pregnant, naturally, she would want to protect her unborn child above all else. Therefore, when offered a series of vaccinations said to protect her newborn baby against disease in the first few weeks of life, she will probably accept the vaccinations without a moment’s hesitation. 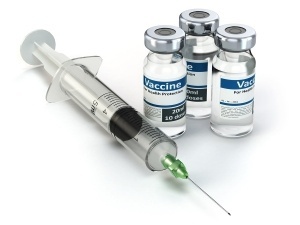 However, would she accept those vaccinations so readily if she knew that her unborn child was going to be used as part of a vaccine experiment being conducted by the Centers for Disease Control and Prevention (CDC) and the vaccine manufacturers? Health Impact News decided to investigate this issue more carefully, and what we uncovered may shock and horrify you. 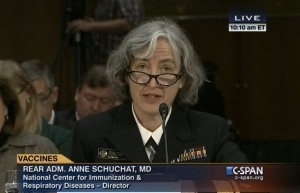 CDC Spends $1 Million to Increase Adult Flu Vaccination Rates – Flu Shot to be Mandatory? According to the Center for Disease Control and Prevention’s (CDC) own statistics, the seasonal ﬂu vaccine for the 2014-2015 season was only 19 percent effective. So why is there a worldwide push for ﬂu vaccination? What are the risks inherent in a ﬂu vaccination and are they worth it? These questions have been deleted, ignored, omitted, and crossed out by most in favor of what appears to be a dose of drug company proﬁt mixed with political agenda. The National Vaccine Information Center stands in solidarity with parents who are gathering in Atlanta and witnessing about what happened to their once healthy children, and are again calling on the CDC to tell the public the truth about vaccine injuries and deaths. We stand with in solidarity with all who want to protect the right to know and the freedom to choose how to stay healthy in America. 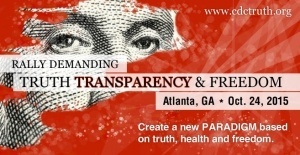 Be in Atlanta October 24, 2015 To Stand Up at the Truth, Transparency & Freedom Rally! 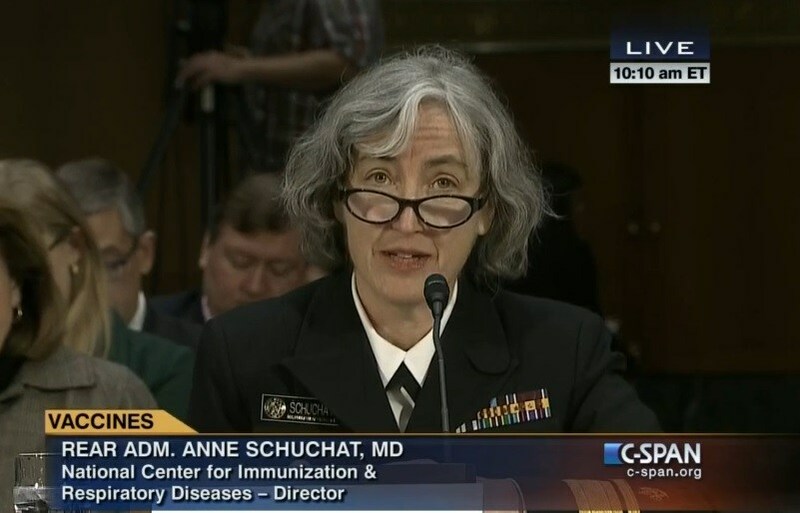 With military precision, the Centers for Disease Control (CDC) announced at an Aug. 27, 2015 press conference that national vaccination rates among young children in the U.S. continue to be very high but that more must be done to tag and track down children without every government recommended vaccine and publicly shame schools that fail to maintain a 95% plus vaccine coverage rate. Government health officials partnering with industry have declared war on citizens exercising freedom of thought, speech and conscience, who question the safety and effectiveness of government vaccine policies and defend the human right to informed consent to medical risk taking. Military strategies employed to win wars view casualties as necessary losses. Unfortunately, it appears that those waging the “take no prisoners” culture war view both the vaccine injured and human and civil rights as necessary losses. Conflicts of interest have become more the rule than the occasional exception. 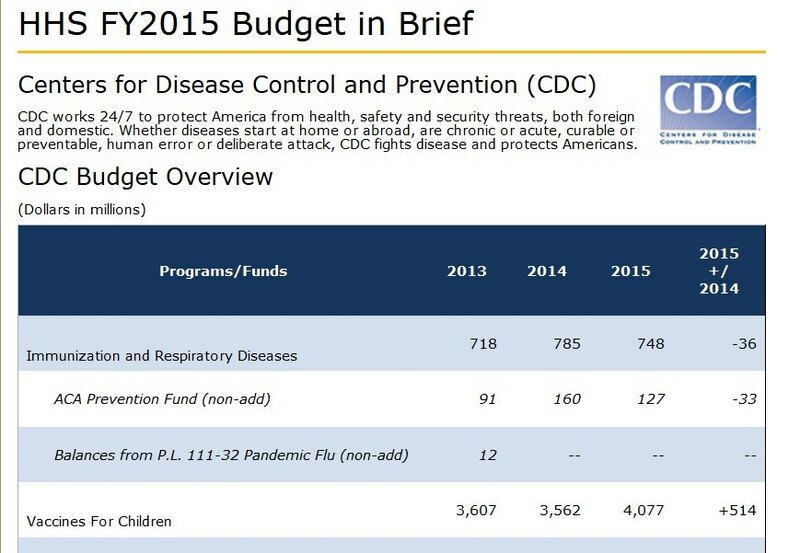 Even the US Centers for Disease Control and Prevention (CDC) receives heavy funding from industry. 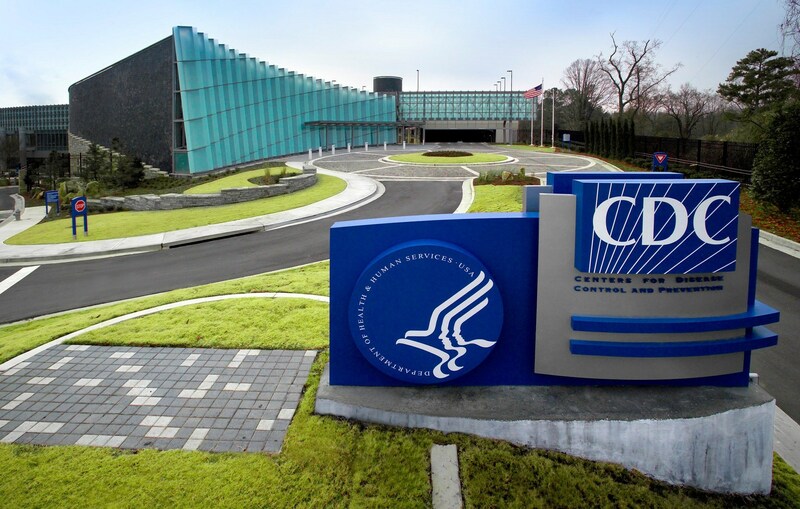 A 2009 investigation by the Office of the Inspector General concluded the CDC has “a systemic lack of oversight of the ethics program”; 97 percent of disclosure forms filed by its advisors were incomplete. The editor-in-chief of the Lancet recently published a statement declaring that a lot of published research is unreliable at best; about half is completely false. Permalink "Global Symphony", the first of several permanently installed exhibitions, and changing exhibitions that focus on a variety of public health topics. The exhibits in the Center are self-guided, and require no advance reservations. Additional curriculum-based exhibits and programming will be added in the future. - Government-issue photo ID is required for entry. Please note that CDC is a working federal facility and as such does not provide public tours of its campus and laboratories. Jeanne Lenzer, associate editor of the British Medical Journal, has published an investigative report showing how the U.S. Centers for Disease Control and Prevention (CDC) is not honest when publishing disclaimers in their studies stating that "they have no financial interests or other relationships with the manufacturers of commercial products." This news does not come as a surprise to those of us in the alternative media, but it is significant that the report was published in one the world's most respected medical journals, the British Medical Journal. Lenzer explains why this is so significant: "The CDC’s image as an independent watchdog over the public health has given it enormous prestige, and its recommendations are occasionally enforced by law." She goes on to quote Marcia Angell, former editor in chief of the New England Journal of Medicine: "The CDC has enormous credibility among physicians, in no small part because the agency is generally thought to be free of industry bias. Financial dealings with biopharmaceutical companies threaten that reputation." I don't know if the fact that CNN is headquartered in Atlanta, the same city where the CDC has its headquarters, has anything to do with it, but an editorial decision was made by someone at CNN to embed a video at the top of their report on the CDC whistleblower from earlier in 2014 where health correspondent Elizabeth Cohen states that within all of the dangerous side-effects of vaccines, autism is not listed. 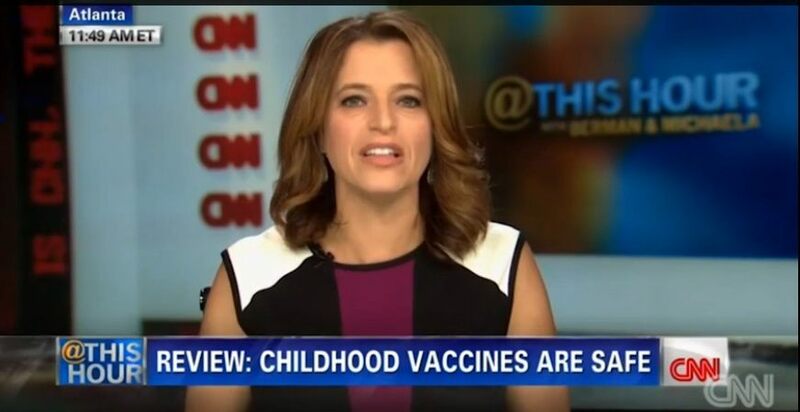 She then rephrased for those needing help understanding her, explaining that “Some people don’t hear this well: vaccines do not cause autism.” This editorial decision to include this video by CNN, could go down as one of the biggest blunders by a major news network of all time. The result has been that thousands of families who have children that have been damaged by vaccines that resulted in autism, have begun to post videos on the Autism Media YouTube channel on a page called: "Hear this Well: Breaking the Silence on Vaccine Violence." As you watch the anger and heartache in the videos posted in response to CNN's Elizabeth Cohen's remarks, be aware that this is just the beginning. This pent up sentiment based on real experiences is currently a tidal wave that is quickly becoming a tsunami. The mainstream media has no idea what they are up against yet. 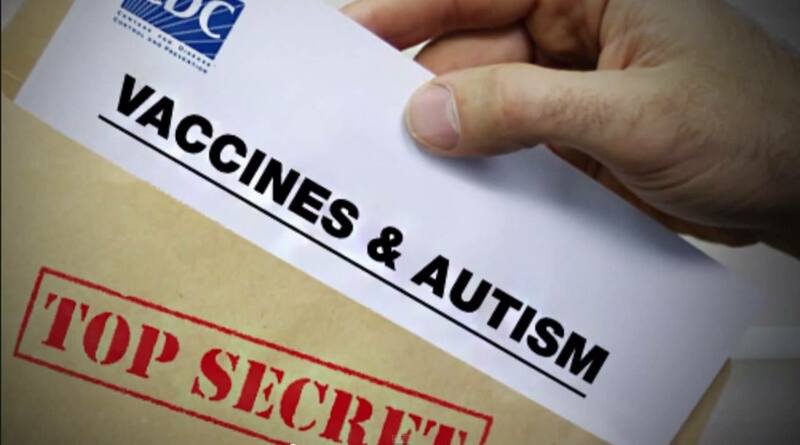 In what is quickly becoming one of the largest news stories in our lifetime, things are just getting worse for the CDC and their cover-up of data linking vaccines to autism. 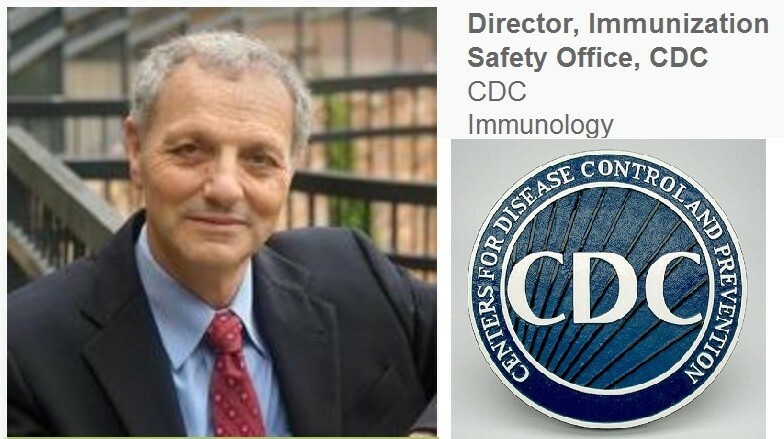 Investigative journalist Sharyl Attkisson has posted a recorded phone call she just had with Dr. Frank DeStefano, the CDC Director of Immunization Safety. Dr. DeStefano was a co-author with CDC whistleblower Dr. William Thompson on a 2004 study that originally was put forward as research showing there was no link between vaccines and autism. Dr. Thompson has come forward and revealed that data was withheld from the public that showed an increased risk of autism in certain populations, specifically African American boys. The CDC has already made a public announcement admitting that they did withhold some data. Dr. DeStefano has publicly stated that while he will reveal the data again, but that he is standing by the original study. A new audio recording of a conversation he just had with independent investigative reporter Sharyl Attkisson has just been posted on the Internet. In this interview, Dr. DeStefano, who is not a whistle-blower, has come out with his own confession of bias and way of interpreting data so that it does not have to be shared with the public if it is not favorable with what they want to communicate regarding vaccines. Dr. DeSefano and the CDC is being forced to answer questions like this (which unfortunately the mainstream media as of yet are NOT asking) because his co-author on the study, Dr. William Thompson, has hired one of the top whistleblower attorney's in the nation so that he can come forward and reveal all the data the CDC has been hiding in regards to vaccines and autism.